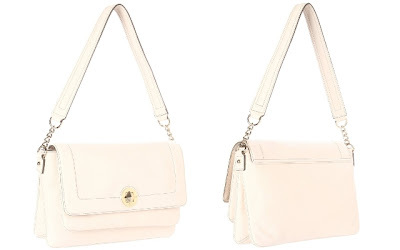 The Kate Spade New York Mansfield Lottie Shoulder Bag (in Cream) is currently selling for just $187.04 on Amazon.com! You will be saving 56% off the listed price of $425.00 with this fashion deal. This bag is also available in Hazel/Cement.Midinight for $273.08. That's 36% off the list price.